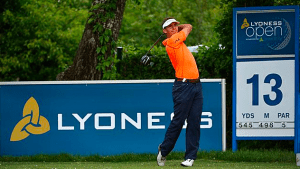 This week’s European Tour event is the Lyoness Open at Diamond Country Club, Atzenbrugg, Austria and, with home advantage, Bernd Wiesberger can continue his excellent run of results in the tournament. Wiesberger failed to recover from an opening round 79 when missing the cut in the Lyoness Open last year, but three top-five finishes in his previous four appearances, including a win in 2012, have seen the tall Austrian installed as 13/2 joint-favourite, alongside Dutchman Joost Luiten, by bet365. Wiesberger has enjoyed a successful, if unspectacular, year so far, finishing in the money in 10 out of 11 European Tour events, including four top 20 finishes. His latest effort was a solid tied-15th at the BMW PGA Championship at Wentworth, six shots behind eventual winner Chris Wood. Once again, an opening round of 76 put him on the back foot, but subsequent rounds of 68, 71 and 70 ensured another decent payday and, back in his native Austria, he should give us a good run for our money. 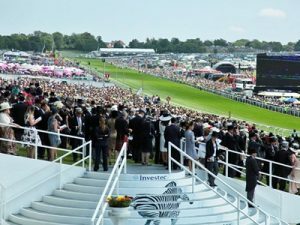 Aidan O’Brien saddles three runners in the Investec Oaks (4.30) at Epsom on Friday, but ante post favourite Minding (10/11) looks far and away his best chance of landing the second fillies’ Classic for the sixth time. The daughter of Galileo stayed on strongly to beat stable companion Ballydoyle by 3½ lengths in the Qipco 1,000 Guineas on the Rowley Mile at Newmarket in May and, although failing by a neck to overhaul Jet Setting in the Irish equivalent at the Curragh three weeks later, she sets an exemplary standard. The front pair pulled 10 lengths clear of the third, Now Or Never, at the Curragh and Minding can probably be rated a little better than the bare form after hitting her head on the starting stalls. Even so, she has 9lb and upwards in hand of her rivals on official ratings and, while her stamina for a mile and a half is not absolutely guaranteed, she stayed a mile as a juvenile, so the step up to middle distances could conceivably bring about further improvement. Even if it doesn’t, she’s hard to oppose.